Bull-it Covec Impact Division Cardinal Hip Protectors. Pair of CE approved hip protectors for Bull-it jeans. Got these for a pair of Bull-it jeans. 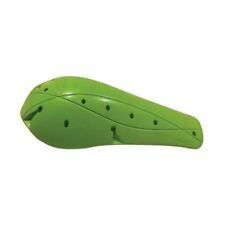 Fell more substantial than the universal hip/knee flexible protectors yet remain comfortable on the bike. Compatible with all SR6 jackets, SR6 hoodie and the Airflow Suit. Motorcycle Parts. Helpful Links. Bull-it Covec Impact Division Raptor - Elbow / Knee. These Covec Impact Division Raptors are fully CE level 2 certified. They can be used with the SR4, SR6 jeans and the Airflow Suit as knee protection and with the SR6 jackets, hoodie and Airflow Suit as elbow protection. The Covec Impact Division 'Raptor' is the Level 2 protector for elbow and knee use. It can be used with the SR4 and SR6 jeans and the Airflow Suit as knee protector and with the SR6 jackets, hoodie and Airflow Suit as elbow protector. The Covec Impact Division 'Origin' sleeves feature insert pockets, compatible with Gravity (E/K) protectors. High impact performance (when used in conjunction with Covec Impact Division Gravity protectors). Moto Central: Bull-It Jeans Hexagon Chest Protector. The Covec Impact Division ‘Hexagon’ is the protector for chest use. It can be used with the SR6 jackets, hoodie and the Airflow Suit as a separate chest protector. Motorbike Accessories. Hexagon Chest Protector Adult Clothing. Adult Boots. Stable flexibility in cold weather. Outstanding comfort. High impact performance. CE EN 1621 approved. Bull-it Covec Impact Division Shield - Elbow / Knee. The Covec Impact Division 'Origin' sleeves feature insert pockets, with Gravity (E/K) protectors. They can be used with SR4 and SR6 jeans, the Airflow suit as knee protectors and with the SR6 jackets, hoodie and Airflow suit as elbow protectors, as an alternative to the internal protector pockets. Bull-it Cardinal Hip Protector (pair). The Covec Impact Division 'Cardinal' is our protector for Hip use. Junior Section. Bike Accessories. Stable Flexibility in cold weather. Outstanding Comfort. High Impact Performance. Bull-it Covec Impact Division Sleeves - Elbow / Knee. They can be used with SR4 and SR6 jeans, the Airflow suit as knee protectors and with the SR6 jackets, hoodie and Airflow suit as elbow protectors, as an alternative to the internal protector pockets. The Covec Impact Division ‘Cardinal’ is our protector for Hip use. CE EN 1621 Approved High Impact Performance Memory Elastan absorps and dissipates energy, greatly reducing impact forces transmitted to the body. Outstanding Comfort Stable Flexibility in cold weather 2 x Hip Armour. Moto Central: Bull-It Jeans Polygon Back Protector. The Covec Impact Division ‘Polygon’ is the protector for back use. It can be used with the SR6 jackets, hoodie and the Airflow Suit as back protector. Motorbike Accessories. They can be used with SR4 and SR6 jeans, the Airflow suit as knee protectors and with the SR6 jackets, hoodie and Airflow suit as elbow protectors, as an alternative to the internal protector pockets. The Covec Impact Division 'Integral' is our protector for Shoulder use. Bull-It Motorcycle Motorbike Integral Shoulder Protector (Pair). Motorbike Accessories. Bull-It Integral Shoulder Protector (Pair). Moto Central: Bull-It Jeans Cardinal Hip Protector. The Covec Impact Division ‘Cardinal’ is the protector for Hip use. It can be used with the SR4 and SR6 jeans and the Airflow Suit as hip protector and with the Airflow Suit as chest protector. Bull-It Cardinal Hip Protector (Pair). Cardinal Hip Protector (Pair). The Covec Impact Division 'Cardinal' is our protector for Hip use. Motorcycle Parts. Helpful Links. CE EN 1621 approved. Compatible with all SR6 jackets, SR6 hoodie and the Airflow Suit. High impact performance. This applies to all to our products. Stable flexibility in cold weather. Ending Soon. The Covec Impact Division 'Cardinal' is our protector for Hip use. High Impact Performance. This applies to all to our products. Polygon Back Protector Motorbike Accessories. CE EN 1621 approved. High impact performance. Adult Clothing. Adult Boots. Compatible with all SR6 jackets, SR6 hoodie and the Airflow Suit. Reduces impact forces transmitted to the body. Stable flexibility even in cold weather conditions. Polygon Back Protector Stable flexibility in cold weather. Bull-it Polygon Large Motorcycle Jacket Back Protector. 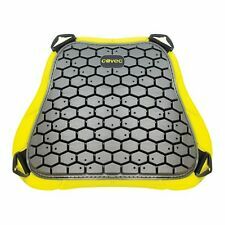 The Covec Impact Division Bull-it Polygon Large back protector is a CE approved protector for riders that can be worn with a range of Bull-it motorcycle clothing. Bull-it Covec Impact Division Integral Shoulder Protectors. Pair of CE approved shoulder protectors for Bull-it jackets. Reduces impact forces transmitted to the body. These can be used with the SR6 jackets, hoodie and Airflow Suit as shoulder protection. The Covec Impact Division Bull-it Cardinal hip & chest protector is a CE approved protector for riders that can be worn with a range of Bull-it motorcycle clothing. It can be used with the Bull-it SR4 and SR6 jeans along with the Airflow suit as a hip protector, or as a chest protector with the Bull-it Airflow suit also. The Covec Impact Division ‘Shield’ are sleeves with the Gravity (Elbow/Knees) protectors. It can be used with the SR4 and SR6 jeans and the Airflow Suit as knee protector and with the SR6 jackets, hoodie and the Airflow Suit as elbow protector, if you are not using the protector pockets.